The latest from and about Morphisec. Today, endpoint security and threat prevention solution provider Morphisec released their Morphisec Labs Threat Report for December 2018. Another area often overlooked during the Black Friday/Cyber Monday period is the danger it presents to non-retail companies. Cybersecurity firm Morphisec said that 63 percent of 1,000 Americans that it surveyed in late October regarded the threat of “adversaries propagating misinformation on social networks” as a “more significant threat” to the U.S. midterm elections than possible cyber attacks against voting infrastructure. Morphisec will become the first international business to receive a grant from the S&T’s Financial Services Cyber Security Active Defense Technologies category. With the kickoff of National Cybersecurity Awareness Month, the Department of Homeland Security (DHS) has been actively focused on cybersecurity this week. Israel-based Morphisec won a DHS grant to develop technology to protect financial institutions from cyberattacks. Essar Group has signed up Morphisec to to secure the organization from advanced attacks. While ransomware attack volume may have declined, attacks have evolved to be more sophisticated, targeted and effective against unsuspecting users and unprepared organizations. A move to a pure cloud strategy at the London Stock Exchange Group forced a new security mindset. Here's how the LSEG's CISO faced the challenge. The sprawling and complex set of subjects we call cyber security can all be tied to one fundamental concept -- time. CRN has identified 10 security startups launched in the past half-decade that stood out from the crowd this year thanks to new funding, the launch of a channel program, or key product enhancements or updates. With the first half of the year come and gone, it's time to start executing plans for the second half. Three women chosen from a large pool of highly qualified candidates are the new recipients of Morphisec's Women in Cybersecurity Scholarship. A new report analyzes threat data collected from approximately 750,000 Morphisec protected endpoints globally, between January 1 and March 31, 2018, as well as from in-depth investigations conducted by the Morphisec Labs threat research team. One hundred percent of attacks prevented By Morphisec in Q1 used at least one fileless technique. These attacks include adware, says the company, which specialises in moving target defence technology. Endpoint security solution provider Morphisec today released the inaugural edition of the Morphisec Labs’ Threat Report for Q1 of 2018. Adobe’s Flash Player might be on the way out and exploit kits have taken a backseat to cryptominers, but cybercriminals are still finding ways to harness the potent pairing. Traditional signature-based detection, i.e., antivirus, has proven wholly ineffective in today’s threat landscape where thousands of new variants are created daily, each with a new signature. Saks Fifth Avenue, Saks Off 5th, and Lord & Taylor department stores—all owned by The Hudson’s Bay Company—acknowledged a data breach impacting more than five million credit and debit card numbers. The culprits? The same group that's spent the last few years pulling off data heists from Omni Hotels & Resorts, Trump Hotels, Jason’s Deli, Whole Foods, Chipotle: A mysterious group known as Fin7. A new attack method lets attackers bypass Microsoft's Code Integrity Guard (CIG) and inject malicious code into protected processes, including Microsoft Edge. Researchers at Morphisec this week disclosed the details of the technique and proof-of-concept code. Malware authors can exploit a flaw in the Windows Code Integrity Guard (CIG) security mechanism to inject malicious, unsigned code into CIG-protected applications, considered to be immune to such attacks. Every month, Start-Up Nation Central’s channel on Forbes will highlight a handful of startups that have recently raised funding, and that we think are important to keep an eye on. A vulnerability that was recently patched in Flash Player after being used in targeted attacks is now seeing widespread exploitation in a malicious spam campaign. According to cybersecurity firm Morphisec, cybercriminals are blasting spam messages that urge recipients to click a link to download a Word document. And when a victim opens the document and enables editing, malware attempts to exploit an Adobe Flash Player bug (CVE-2018-4878) patched by Adobe earlier this month. Morphisec, an Israel-based developer of cybersecurity software, raised $12 million in Series B funding. Investors include Orange Digital Ventures, Jerusalem Venture Partners, GE, and Deutsche Telekom. Orange Digital Ventures annonce sa participation au financement de Morphisec, leader de la technologie Moving Target Defense. The movement toward next-generation endpoint security has accelerated because cybersecurity professionals aren’t happy with the efficacy of existing antivirus tools. This has led to a wave of investment and innovation from vendors including Morphisec. Cybersecurity provider Morphisec continues to grow its partner community and has a technological advantage over its main competitors, including Cylance, CrowdStrike and Carbon Black. Israel's top luxury hotel brand protects itself from advanced threats so it doesn't become another entry in the long list of hotel breaches. Morphisec makes the list of Solutions Review's top next generation endpoint security vendors to watch. Supply Chain Attacks on Retail – What Happens When Trusted Channels Can’t be Trusted? Aging IT infrastructure and unpatched software vulnerabilities coupled with vast amounts of personal data make retailers make a prime cybercrime target. Report in French by TF1/LCI about cybersecurity in Israel, including sound bytes by Morphisec CEO Ronen Yehoshua touring our offices located at the cybercity Beer Sheva. Young women in Europe, the US and Israel have decided before they are even 16 years old that they don’t want a career in cybersecurity. Netta Schmeidler shares her view. Digitalization in the hospitality industry has brought enormous gains in efficiency but also enormous increases in cyber risk. Is CCleaner the Tip of an Iceberg of Supply Chain Hacks? In this podcast, Paul Roberts speaks with VP R&D Michael Gorelik CCleaner hack – a hack that Morphisec discovered. Michael Gorelik, VP R&D at Morphisec, explained that [...] the TLS initialization of callback functions was probably altered by a modification of the visual studio runtime file. On Sept. 12, Morphisec warned Avast of the infection, and the latter was able to resolve the issue within 72 hours. The compromised version of CCleaner [...] was undetected for four weeks, "underscoring the sophistication of the attack," Morphisec VP R&D Michael Gorelik wrote in a blog post. We thank Morphisec and we owe a special debt to their clever people who identified the threat and allowed us to go about the business of mitigating it. Women make up just 11% of the world’s information security workforce, according to the 2017 Global Information Security Workforce Study. This is way behind other industries. Morphisec Lab attributes the malware to FIN7, a group associated with other damaging attacks on large restaurant chains and hospitality organizations. Morphisec Lab identified a new, highly sophisticated fileless attack targeting restaurants across the US. Two years ago, IoT attacks were considered exotic, an aberration of interest mainly to those in the industry and conspiracy theorists. No longer. Report about Morphisec security researchers discovering a new fileless attack framework. Researchers at Israeli security company Morphisec said today that they discovered a new fileless malware attack framework. Rob Enderle sees Morphisec as "a universal immunization remedy" for endpoints. As industry experts begin to roll out their predictions for 2017, what do we need to beware of, in the security field? With e-commerce attacks in Q3 2016 increasing by 60 percent over the previous year, shopping hazards can hit from all sides. Omri Dotan gives answers, how retailers can turn the tables and make targets and defenses unpredictable to attackers. As 2016 comes to an end, the Morphisec team takes the opportunity to look ahead to the new year. Omri Dotan, CBO at Morphisec, offers tips for locking down ecommerce systems as the busy holiday season approaches. Developing greater resilience in our critical infrastructure systems requires addressing several interrelated factors,” says Morphisec’s Chief Science Officer Mordechai Guri. Morphisec's CSO Mordechai Guri explains the challenges in developing and maintaining an IoT-wide security solution. Mordechai Guri, Chief Science Officer at Morphisec, shares insights. Last week, Morphisec identified multiple malicious macro-based documents delivering Kovter via targeted emails. Michael Gorelik, VP R&D, explains. This week’s National Cyber Security Awareness Month theme is “Recognizing and Combating Cybercrime.” Morphisec’s Michael Gorelik shares how to combat this growing threat. IIoT is transforming the industry, but at what cost? Dotan Omri discusses threats and how to address them. Article by Morphisec's Omri Dotan, emphasizing that software vulnerabilities translate to business vulnerabilities. "...MySQL vulnerabilities are proof that new approaches like moving target defense should be deployed in every strata of the computer security stack," say M. Guri. By Ronen Yehoshua, CEO Morphisec. To win, the different security stack layers have to play as a team. Morphisec is proud to be included in Dark Reading’s round-up of emerging Israeli cybersecurity solutions. Reward must outweigh costs – Morphisec CEO Ronen Yehoshua explains how this rule applies to more than just business. Michael Gorelik, VP R&D, weighs in; "I also assume that the group that leaked the dump has much more Zero-Days in their arsenal, so there is concern...."
eSecurityPlanet features Morphisec as an emerging technology in its next-gen endpoint security solution slideshow. Cyber Security: Method or Madness? Morphisec's Arthur Braunstein, VP Strategic Accounts, discusses the need for change in the cybersecurity stack paradigm. No one is safe – security quo vadis? Omri Dotan, CBO of Morphisec, discusses the latest news from the AV market and how to gain the “right amount of protection”. By Omri Dotan. "As long as we continue to remain predictable targets and protect ourselves in predictable ways, security measures will be easy to bypass." Morphisec's Omri Dotan explains why the “Little Guys” play a major role in preventing breaches. Mordechai Guri, Chief Science Officer, unmasks the different kind of ransomware attacks and needed defenses. Morphisec CBO, Omri Dotan, shares his thoughts on the security and privacy implications of Brexit. Omri Dotan, Morphisec's CBO, comments on the vibrant ecosystem contributing to Israel’s excellence in cybersecurity. Morphisec co-founder Dudu Mimran explains how CISOs can gain back confidence by prevention in the early infiltration phase. Trends likely to dominate the field in the upcoming years around intrusion detection. By Mordechai Guri, Chief Science Officer at Morphisec. "This time the payload was TeslaCrypt Ransomware, but there is no limitation to what payload can be delivered." Commentary by Michael Gorelik. Michael Gorelik, VP of R&D, comments on zero-day exploit that bypasses Microsoft EMET. Moving Target Defense, a new proposal by cyber security firm Morphisec, is a potential solution. How do you outsmart malware? The detection paradigm as a whole suffers from several inherent weaknesses, which adversaries frequently exploit. By Mordechai Guri, CSO at Morphisec. Commentary of Morphisec CEO Ronen Jehoshua on how to stop ransomware early in the kill chain by preventing exploit kits from finding vulnerabilities. Exploit Kits: How do you combat something that can take so many forms with Moving Target Defense. By Michael Gorelik. But what if obscurity became a viable defence? 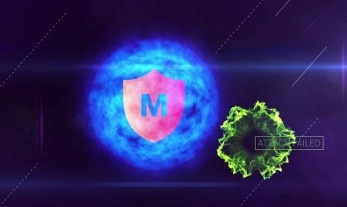 This is the approach Israeli start-up Morphisec has taken this to new level with a novel approach to defeating malware. Moving Target Defense (MTD) aims at creating asymmetric uncertainty on the attacker’s side, by changing the attack surface. A true security-business balance can only be reached with a solution that mitigates the risk of unpatched security vulnerabilities. According to researchers at Morphisec, the changes made to Nuclear EK increase the chances of bypassing signature and behavior-based solutions. By making computer memory a moving target, a hacker can't mess with it, and therefore can't cause damage to the rest of the computer or the data. As industry experts begin to roll out their predictions for 2017, what can we look forward to, or what do we need to beware of, in the security field? Security startups are using the techniques of polymorphic malware to better protect enterprises. 45% of consumers believe their health data is more secure on their own phone than on providers’ devices, while nearly 80% admit they’re not prepared to handle cyber threats on their own. Enterprise Strategy Group has published a Technical Validation First Look report that presents initial findings from tests of Morphisec’s solution against a range of advanced threats. Moving Target Defense leader to present company momentum at Montgomery Summit, AGC’s Information Security Growth Conference And OurCrowd’s Global Investor Summit. Morphisec launched its second annual Women In Cybersecurity Scholarship program. The scholarship supports and encourages young women exploring a career in the cybersecurity field. Former RSA Development Director will build strategic business partnerships for Morphisec as it expands its global presence. Confront an ever more complex cyber threat landscape with Morphisec’s seamless and future proof endpoint threat prevention. Secure your unpatched systems and zero-day vulnerabilities with no hassle or performance impact.